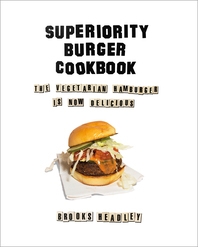 With more than 90 mouth-watering recipes, Superiority Burger Cookbook lays bare the secrets of America’s most talked-about vegetarian restaurant, in recipes as a simple as they are irresistible. Along with recipes for a coterie of other delights—fresh, vegetarian, accidentally vegan, and always incredible—you’ll find out why Superiority Burger in New York City’s East Village is the hottest ticket in North America and the surrounding continents. Superiority Burger is a cozy counter hangout filled with affordable, innovative food that is a protest against the idea that extraordinary fare is the exclusive domain of the elite. Now you can bring its blueprint for rebel compassion and culinary sophistication into your home with this cookbook; a must-read for home cooks who want something delicious, new, and imminently within their reach. 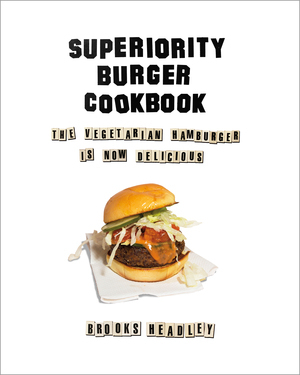 The book is divided into six flavorful sections—Sandwiches, Cool Salads, Warm Vegetables, Soups and Stews, Sweets, and Pantry Recipes—and reveals the recipes for some of the restaurant’s favorites: the Sloppy Dave, Burnt Broccoli Salad, Russet Potato–Coconut Soup, Tahini Ranch Romaine Salad, and, of course, the now legendary Superiority Burger.